The music is based on a series of chord progressions common to countless generations of Spanish flamenco (and other) guitarists, whose fiery style and brilliant playing have captivated millions of music lovers throughout the world. These progressions and the resulting key relationships have become practically synonymous with what we feel to be the true Spanish idiom. Together with the folk melodies they have underscored, in part derived by a procedure known to musicians as the “melodizing of harmony,” they have created a vast body of what most people would consider authentic Spanish music. The first section of the music is based upon the dance form known as the Jota, while the second, contrasting section is derived from the Fandango, but here altered considerably in both time and tempo from its usual form. Overall, the music follows a traditional three-part pattern: fast-slow-fast. 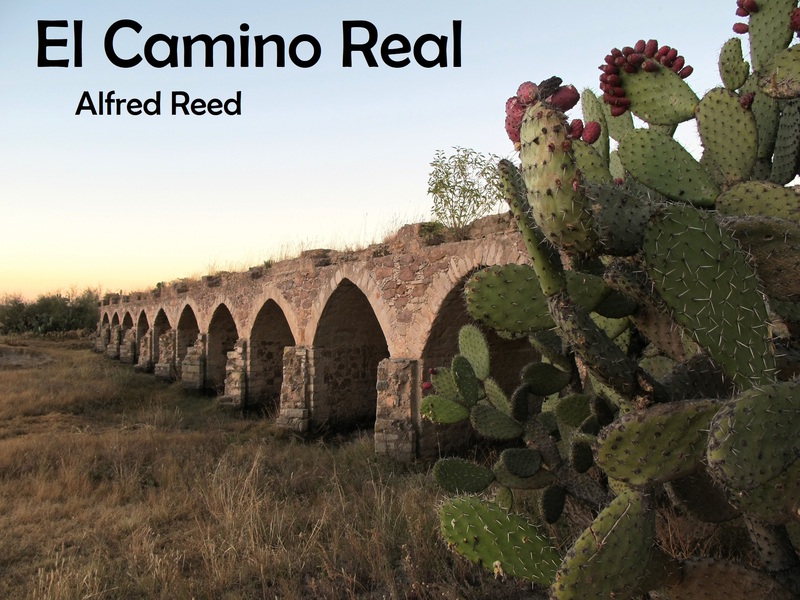 The first public performance of El Camino Real took place on April 15th, 1985 in Sarasota, Florida, with the 581st Air Force Band under the direction of Lt. Col. Ray E. Toler. These trees have learned how to brave the concrete jungle, and it gave me solace knowing that they had flourished in such a challenging environment. Over time, the impossibilities of the city have become familiar, and although I continue to learn new lessons every day, I’ve slowly begun to assimilate, finding my way around, discovering new places, and making friends while still keeping close with those who aren’t close by. 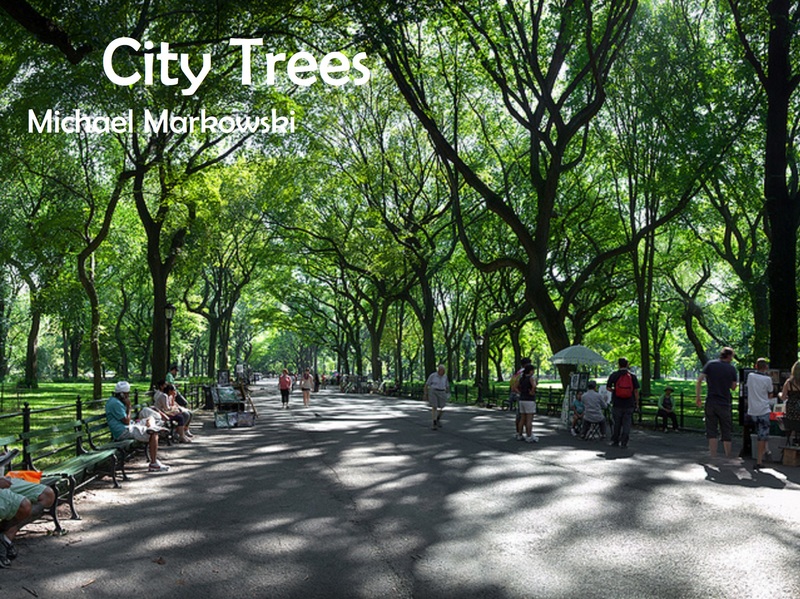 The music in City Trees began to take on a growing sense of perseverance, embodied by the expansive melodies that sweep over the pensive, rhythmic undercurrent. For me, City Trees is a reflection of the bravery that it often takes to venture into new worlds, embrace other cultures, and lovingly encourage new ideas. I am deeply honoured to dedicate this piece to the Lesbian and Gay Band Association. Although I may never completely understand the unique challenges my friends have faced and had to overcome, I am inspired by the overwhelming courage that has been so firmly planted for 30 years and that continues to grow, perhaps slowly, but always stronger. 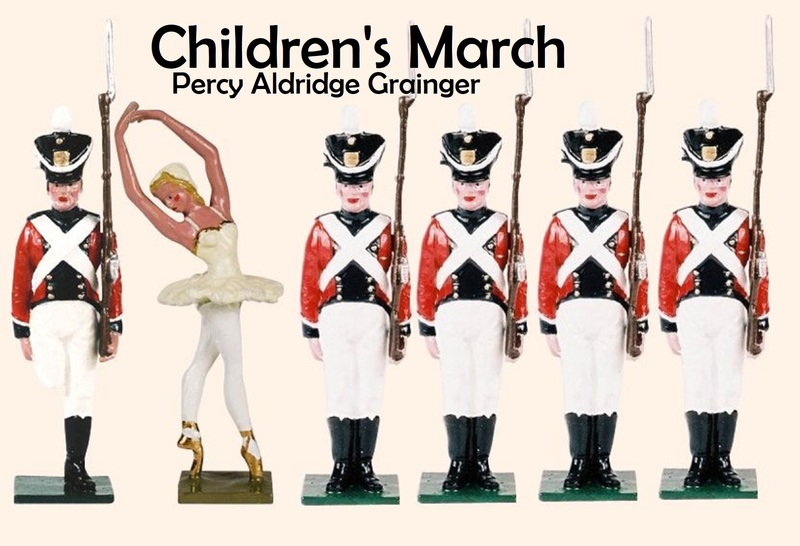 Children’s March was written between 1916 and 1919, during the flurry of activity that produced several of Grainger’s miniature masterworks for winds. The version for full band was premiered by the Goldman Band at Columbia University in 1919. As with most of his music, Grainger wrote and orchestrated Children’s March with a very specific vision, but also with a widely flexible instrumentation. The piece could be played by ensembles as small as woodwind quintet with two pianos to those as large as a full symphonic band, or even a symphony orchestra (minus violins, violas, and cellos) without altering the existing parts. While this flexibility is not unusual in Grainger’s work, two features the orchestration of Children’s March set it apart from his contemporaneous works. First is the prominent inclusion of the piano, which was then unusual. Second are the two 4-part vocal passages in the piece that are intended to be sung by the members of the band. Furthermore, Children’s March is a rare instance of Grainger using original material. Most of his other enduring works were based on existing folk melodies, but Grainger devised his own–possibly his most effective original tune–in this case. 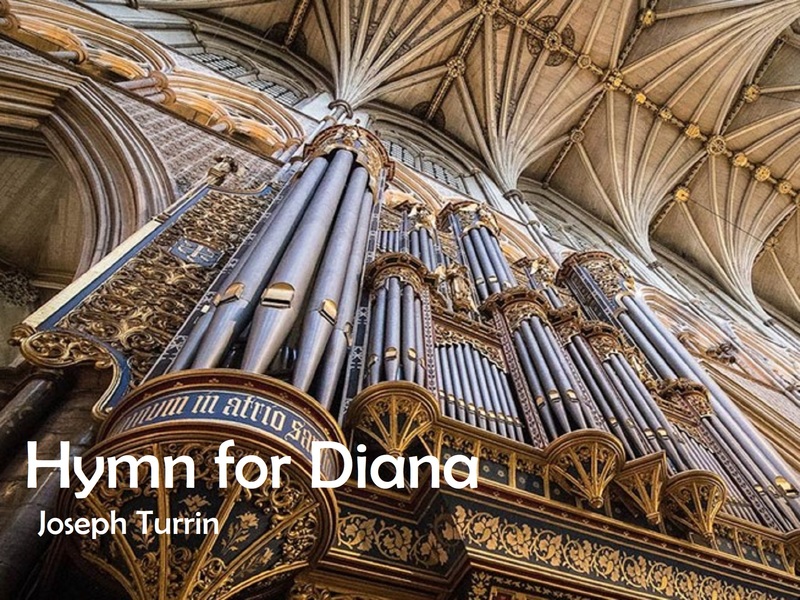 I composed Hymn for Diana the week of September 7, 1997. I wanted to pay tribute to Princess Diana’s life and all that she represented to the people of this world. From the pen of the late George Gershwin there flowed music in vast quantities, unquestionably bearing the hallmark of a greatly gifted composer. His Broadway musicals, motion picture scores and popular songs were always imbued with the colour and imagination of a truly creative mind. Along with this heritage are the symphonic scores, for Gershwin was not content with the fame and fortune his lighter music brought him; he was ambitious to be recognised as a composer of serious music, one who would take the native elements of high lighter works to the concert hall. 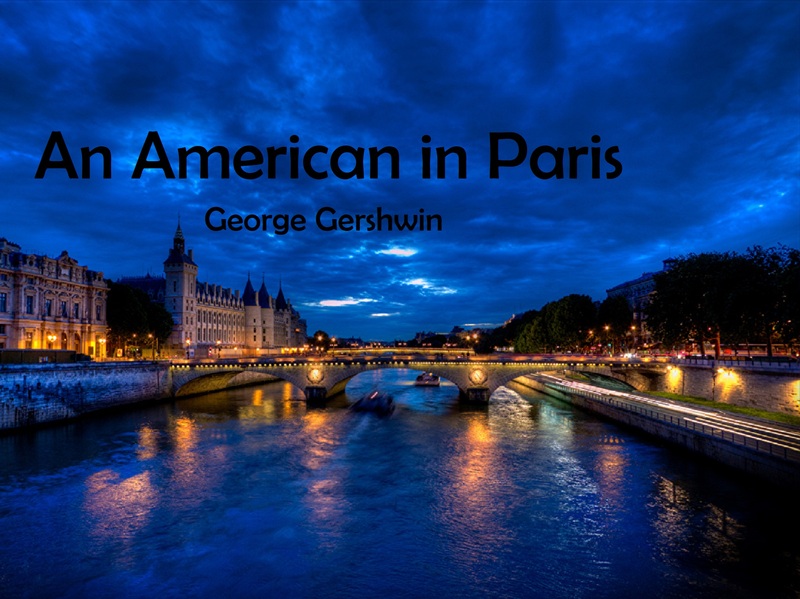 One of Gershwin’s finest works in this area is his orchestral score, An American in Paris, composed in early 1928 when vacationing in the great city. The work is alive with the dazzle of robust activity and easy introspection. It is truly the story of an American’s visit to the City of Light; here, eager anticipation of food times and fun; there, infrequent spurts of homesickness and loneliness. The two principle motives of the work are the “Walking” theme (announced by the Clarinets in the beginning) and the “Blues” (stated by the Solo Cornet). These two themes are the “kernels” around which the entire score is fashioned. In arranging this score for wind band I have attempted to retain the overall character of the original and at the same time modify into suitable duration for programming purposes. 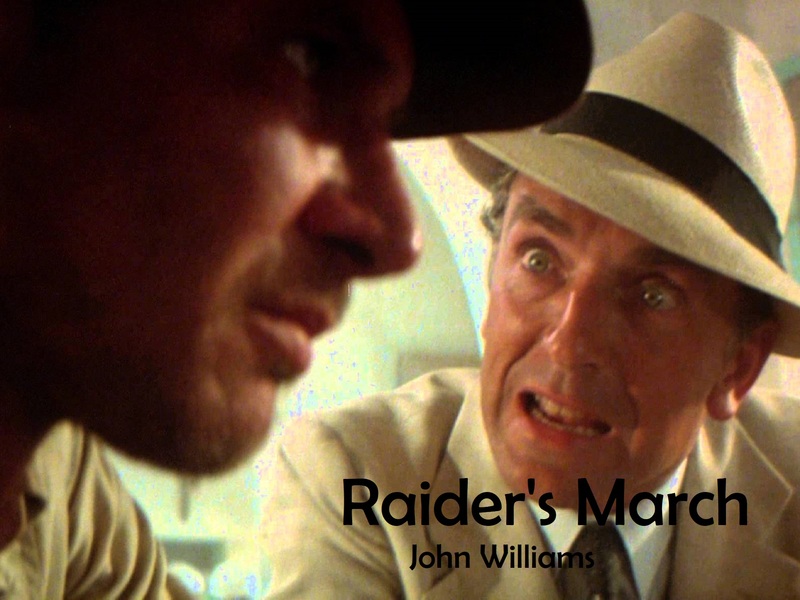 “The Raiders March” was written in 1981 for Steven Spielberg’s production of Raiders of the Lost Ark. I created the march as an “adventure” theme to be associated with Indiana Jones, the colourful hero of the film, played so brilliantly by actor Harrison Ford. The success of this wonderful movie led to two sequels: Indiana Jones and the Temple of Doom and Indiana Jones and the last Crusade. These films formed a trilogy which became one of the most successful action-film series in cinema history and we used the central music theme for all three episodes. This music was introduced at the beginning of the first film when Indiana made his initial escape from the pursuing villains and was subsequently used as the musical accompaniment for all his daring exploits. Since its composition, I’ve had so much joy performing this piece in its original form, that I’m delighted that this edition has been made available. 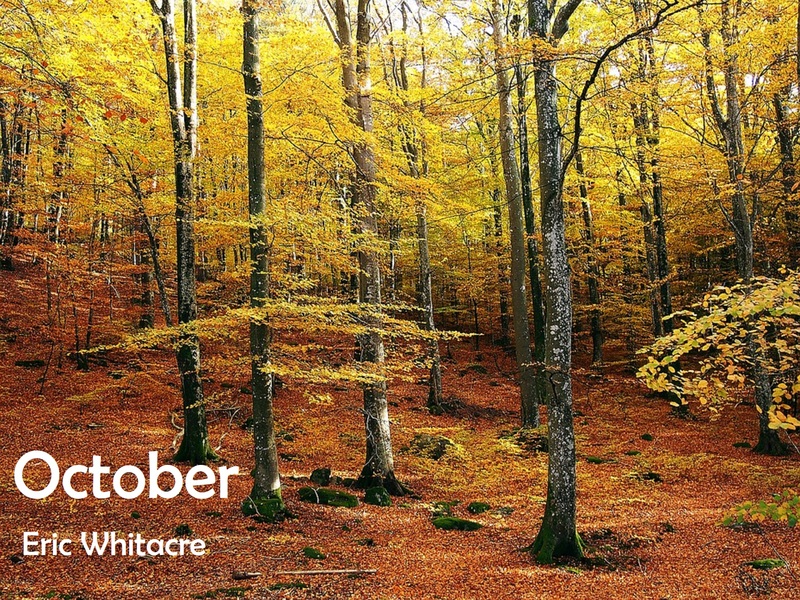 October is my favorite month. Something about the crisp autumn air and the subtle change in light always make me a little sentimental, and as I started to sketch I felt that same quiet beauty in the writing. The simple, pastoral melodies and subsequent harmonies are inspired by the great English Romantics (Vaughan Williams, Elgar) as I felt that this style was also perfectly suited to capture the natural and pastoral soul of the season. I’m quite happy with the end result, especially because I feel there just isn’t enough lush, beautiful music written for winds. October was premiered on May 14th, 2000, and is dedicated to Brian Anderson, the man who brought it all together. 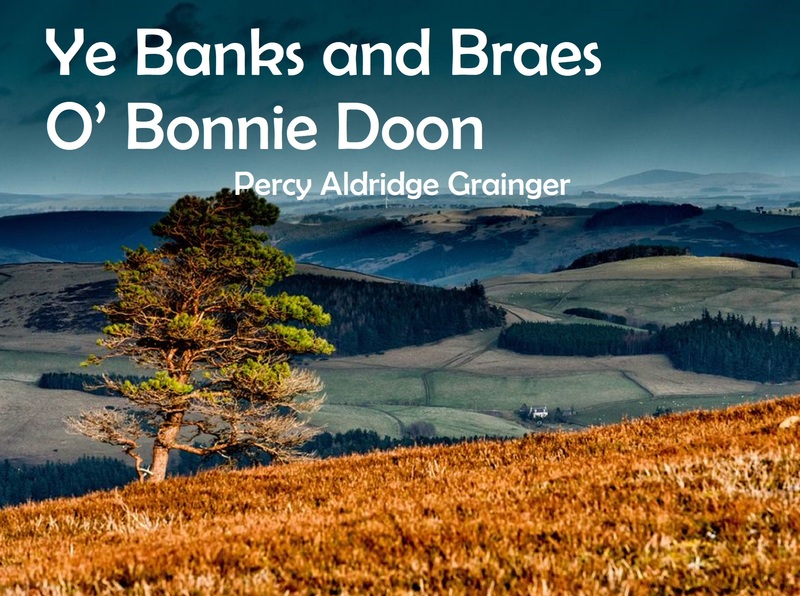 Ye Banks and Braes o’ Bonnie Doon is among Grainger’s many folk song settings. He first set it for “chorus and whistlers” in 1903, and created the band setting in 1932. The folk song comes from Scotland. The melody first appeared in print as The Caledonian Hunts Delight in a collection of songs published by Neil Gow in 1788. In 1792, it was paired with a poem by Robert Burns, The Banks of Doon, and this pairing has been handed down through the generations. The poem describes a love story around the River Doon, which flows through Ayrshire from Loch Doon in Scotland. I was thinking of the stupendous beauty of the Rockies in general, of blinding sunlight on snow-covered peaks; of the frontier spirit of old Aspen with its brash, funny dynamism, its corny ragtag Fourth of July parades and fireworks displays. I was also thinking about indescribably beautiful nights under star-filled skies (the middle section is titled ‘Nightsong’). 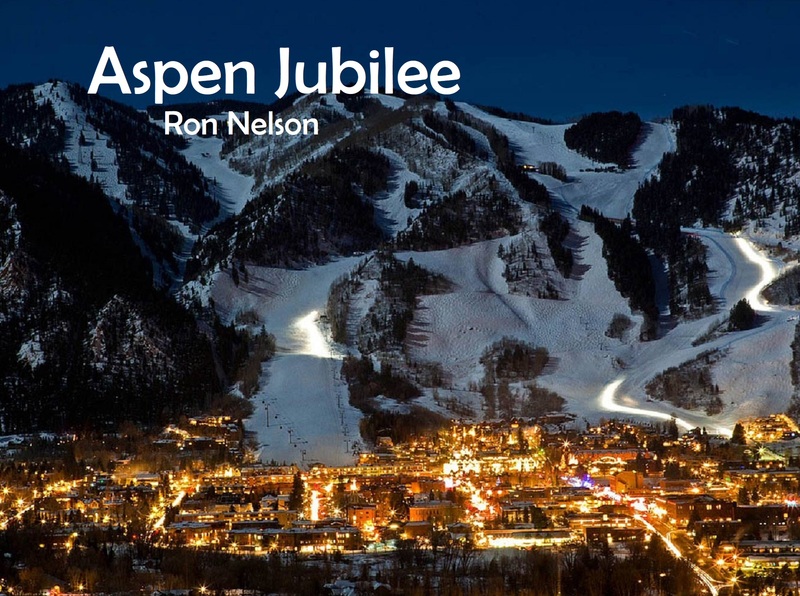 There is only a passing nod to the Aspen which has now become a playground for the rich and famous. The Sydney University Wind Orchestra is an award winning symphonic wind orchestra that performs a wide repertoire, specialising in modern wind band music from the late 20th and 21st centuries. The band is very active, giving regular concerts, performing on tour collaborating with other musical ensembles and holding a training camp each year. Aside from a major concert performance in a concert hall or theatre every semester, SUWO regularly features its members in smaller ensembles and solo performances. We are also very proud of our “Concerts for Kids” program which sees the band tour schools in the greater Sydney region, and even Canberra in 2012, to bring them an educational and musical experience they might not otherwise have the chance to experience. SUWO prides itself on its musical excellence, but also on its friendly, social environment. Winner of “Best Small Club” for 5 continuous years from 2006-2010, shortlisted for the Dave Burnett Award for Best Club with 100+ members in 2013 and 2014 and winner of “Best Website” in 2012 and 2013. Our musicians enjoy many fun filled social events, from dinner gatherings, to bowling, Bunnings BBQs fundraising days and musical outings. Benjamin Crocker is Head of Bands at The King’s School in Sydney, overseeing Wind, Brass and Percussion pedagogy from K-12 at Australia’s oldest independent school. King’s is a foundation member of the G20 group of global schools, at the forefront of innovation and research in education. Growing up in rural North Queensland, Ben’s first musical experiences were at the piano, before later playing cornet and euphonium in community brass bands. Later living and working in Brisbane, Ben performed with Australia’s leading Brass Band, Brisbane Excelsior Band on Euphonium, winning 3 consecutive A grade national championships, as a member of this ensemble. As a euphonium soloist, Ben has performed around Australia and New Zealand, at the Melbourne International Festival of Brass, and in Sydney as a guest performer with the New South Wales Police Band, as well as recent performances as a soloist in Japan. Ben commenced his conducting career after being appointed as Music Director of the South Brisbane Federal Band in 2009. During 2010 he also regularly guest conducted his old band at Brisbane Excelsior. 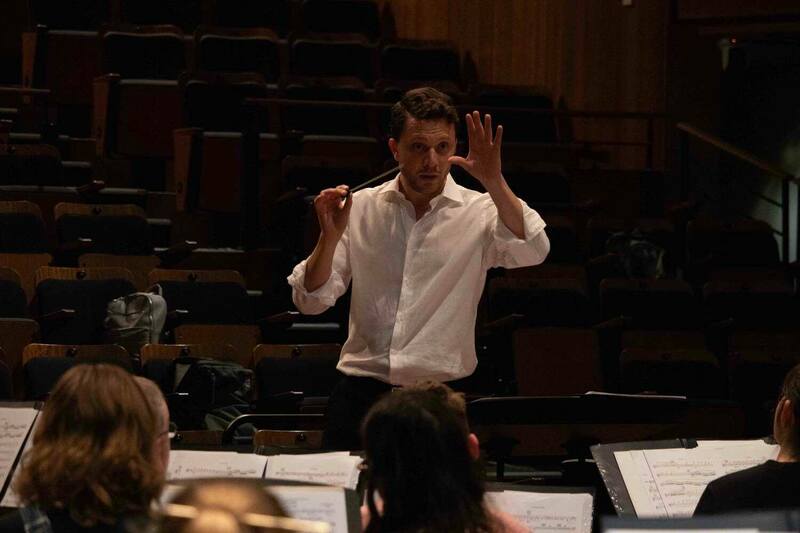 Whilst a student at the Conservatorium, Ben was invited to conduct the University’s Brass Band in his first year of undergraduate study, and later also conducted new music concerts for the Conservatorium Composer’s collective. In 2011 Ben was awarded the Australian Band Conductor’s Scholarship, and became resident conductor of Sydney’s St Marys Band, studying conducting with Professor David King. Later assuming the role of Music Director with St Marys, Ben led the band to three consecutive New South Wales A Grade State Championship titles. Between 2015-2018, Ben has also conducted the Sydney Male Choir in concert with Pacific Brass, in a series of major concerts at Sydney Town Hall. In 2015 Ben was invited to conduct one of the United Kingdom’s leading Brass Bands, the Desford Colliery Band, directing the Band’s International tour. He has also conducted Germany’s leading Brass Band, Brassband 3BA, from Bavaria, and conducted educational concerts at The Regents Academy, and Shrewsbury International School in Thailand. In 2016 he was the only Australian selected for the 1st Augsburg International Conductors Competition in Germany, where he placed 3rd from 40 competitors around the world, in the Wind Bands division. In 2017 and 2018, Ben has guest conducted the Wind Symphony at the Sydney Conservatorium of Music, stepping in to the role of conductor for Sydney University Wind Orchestra in July 2018. In 2018, Ben conducted the Rochester Philharmonic Orchestra, at the Eastman School of Music in New York, as part of the Eastman Summer Wind Conducting Institute, working with Donald Hunsberger and Mark Scatterday. Forthcoming Conducting Engagements include Sydney’s North Shore Wind Symphony, further concerts with Pacific Brass, and the Australian premiere of Paul McGhee’s ‘Kjeden’, for Euphonium and Brass Ensemble (soloist – James Blackford). Ben will be one of 8 conductors working with Johannes Fritsch at the Australian Conducting Academy (Tasmanian Symphony Orchestra) in January 2019.